Jakarta, Wednesday, July 27, 2017 – The Board of Trustees of the Ramon Magsasay Award Foundation has on Thursday (27/7) in Manila, the Philippines, made an announcement that Abdon Nababan has been selected as the laureate of the Ramon Magsasay Award 2017 for the category of Asian Community Leadership. The Indigenous Peoples Alliance of Nusantara (AMAN) has warmly welcomed that Ramon Magsaysay Award 2017 is awarded to Abdon Nababan. The so-called Asian Nobel Prize was officially announced on Thursday, July 27, 2017. The Ramon Magsaysay Award made a statement that Nababan is a leader who can bring about changes. His courage and advocacy have become the voice and face for the Indigenous Peoples Alliance in Indonesia. Nababan is the leader of the Indigenous Peoples’ struggle in Indonesia, even before the reform era. 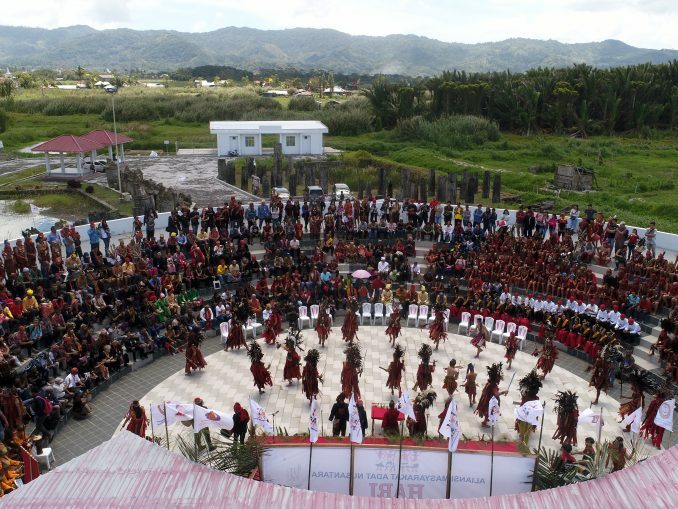 The five-yearly congress of the Indigenous Peoples Alliance of Nusantara appointed Nababan as a Secretary General to AMAN, in two consecutive periods, namely 2007-2012 and 2012-2017. Nababan now serves on the National Council of AMAN 2017-2022, representing the Sumatra regions. 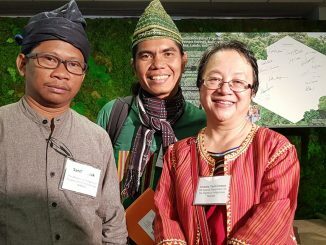 “I am happy and proud as I represent tens of thousands of people who have been struggling with me over the last 24 years for the indigenous movement in Indonesia,” Nababan said. He claimed that he had no knowledge at all of who proposed his name and how the selection process of this Ramon Magsaysay Award was made. During his leadership period, AMAN’s works could give positive contributions to the struggles for the Indigenous Peoples rights in this country. They are among others decision by the Constitutional Court No.35 / PUU-X / 2012 concerning Indigenous Forests, the inclusion of indigenous territories on the map as a thematic map by the Geospatial Information Agency, and the National Inquiries by the National Commission on Human Rights on violations against the Indigenous Peoples’ rights in the forest areas. 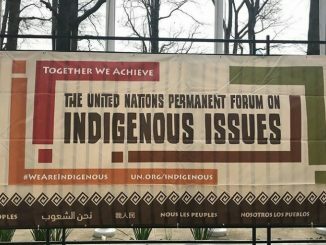 AMAN has also actively encouraged and facilitated the Draft Law on Indigenous Peoples (RUU MA). The bill is now at the hand of the House of Representatives’ National Legislation Program for 2017. Still, in his leadership period, AMAN ensured the inclusion of six points related to Indigenous Peoples in the Vision and Mission of President Joko Widodo (known as NAWACITA). 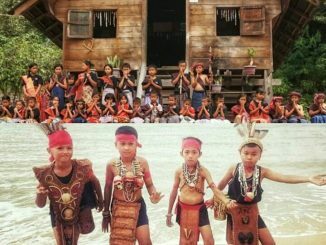 The most obvious result is the handout of Decree on Recognition of Indigenous Forest to 9 Indigenous People by President Joko Widodo at the State Palace by the end of December 2016. Rukka Sombolinggi, Secretary General to AMAN for the period of 2017-2022, said Nababan rightly deserves to be the laureate of this award. “Leading organization as big as AMAN through the transition period for changes from confrontational to engagement strategy could only be made possible by a visionary leader with a strong strategy for making a change, and Nababan has proven the quality of his leadership,” Rukka said on Thursday (27/07). The Ramon Magsaysay Award is an annual award given to the inspiring leadership which can bring about change. Some of the laureates of the award were the 14th Dalai Lama in 1959, Abdurrahman Wahid (Gus Dur) in 1993, and Syafi’i Ma’arif (Muhammadiyah Central Board) in 2008. This annual award is awarded by the Philippines-based Ramon Magsaysay Foundation. This year’s award presentation ceremony is scheduled for August 31 in Manila.